The augmented reality wave is just around the corner, even though most people with a smartphone have yet to try it. 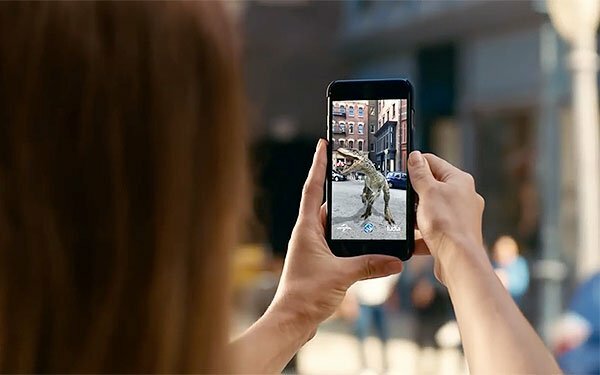 The question of whether consumers would pay anything for AR features is now being explored, and it appears some would be willing to part with some cash for AR action. As a starting point, only about a third (32%) of consumers have tried mobile AR, according to the Virtual Reality Monitor, a survey of 1,200 U.S. adults conducted by Thrive Analytics for ARtillry Intelligence, which wrote the survey questions. Of those who user AR, most (64%) would pay 99 cents or more for apps, with 14% saying they would pay more than $5. However, many of those would be in-app purchases rather than paying upfront for an AR app. For example, they may not pay for an app but would pay for items within a game. Those who have not yet used augmented reality have a different view, with more than a third (38%) unwilling to pay any amount of money for mobile AR apps and 29% willing to pay $1 or more. That group also has a number (32%) of people who would be willing to consider in-app purchases after downloading a free AR app. Aside from whether consumer would pay and how much for mobile AR apps, the people using them are happy with them. The survey found that 73% of those using AR are satisfied with the mobile AR experience, with 30% of those very satisfied. To be determined is what will fund the creation of the AR experiences. 2 comments about "Augmented Reality Meets Revenue Reality". John Wright from Strata, July 1, 2018 at 2:44 p.m.
We are finding similar “real” analytics from our AR clients. You can try building you own AR experience and share it with a friend in less than 5 minutes. Chuck Martin from Chuck Martin replied, July 1, 2018 at 8:57 p.m. Thanks, good to hear, John.